Founded in 1995, is the culmination of over 40 years of hands on experience in the repair and overhaul of landing gear and related electrical systems. 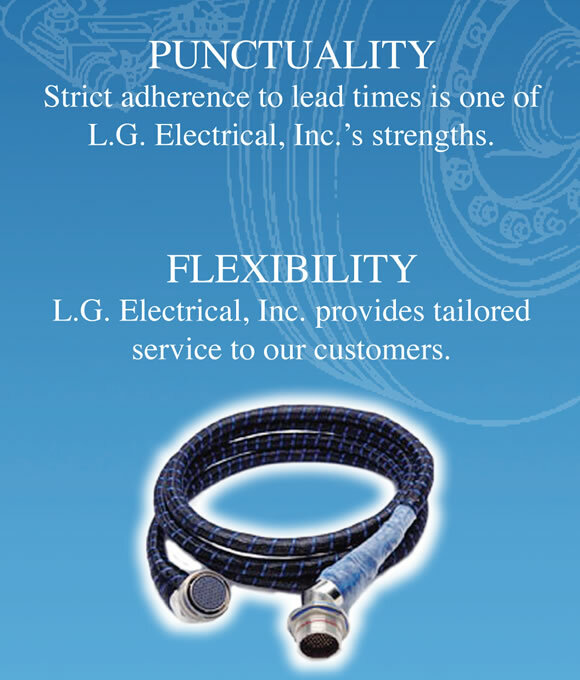 L G. ELECTRICAL would be most pleased to discuss your specific requirements and to provide your organization with a detailed quotation. Please feel free to give us a call or send a facsimile for additional information. 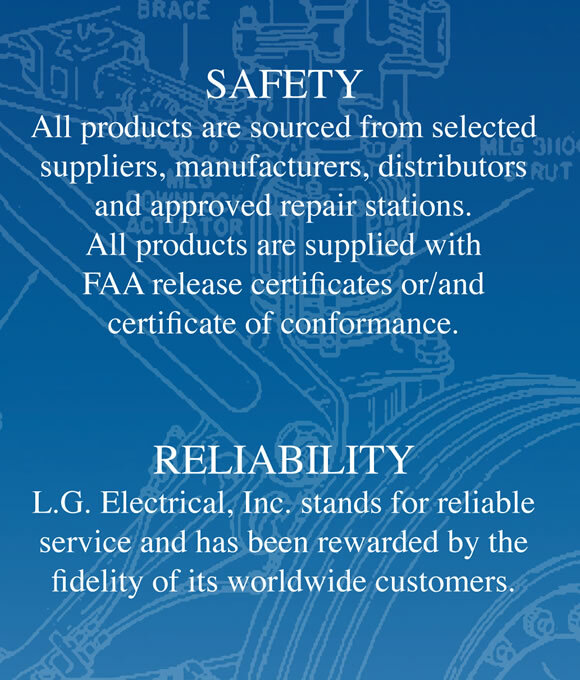 We look forward to supporting your landing gear electrical needs and thank you in advance for your consideration. Conveniently located in the Greater Los Angeles Area, LG. ELECTRICAL is well positioned to support Airlines, FBO's and Landing Gear Overhaul Facilities with virtually any repair requirement. Whether it be Boeing (707, 727, 737,747, 757, 767,777) Airbus (A300, A310, A320, A330, A340), McDonnell Douglas (DC8, DC9, DC 10, MD 11, MD8O) , Lockheed (L1011) or Bombardier/ Canadair (Model CL601-RJ), L. G. ELECTRICAL's ever expanding customer base is benefitting from substantial cost saving and reduced turn around times, coupled with increased quality and reliability. 2016 © L.G. Electrical, Inc. All rights reserved.